On Wednesday the construction site on North Elm Street will start to see movement. High Point Baseball announced the groundbreaking of the new stadium for April 11th at 11:30 a.m. In addition to the traditional turning of dirt, the organization says the name and logo of the new stadium will be announced. HIGH POINT, N.C. – It started as a way to revitalize downtown. Back in March of 2016 the High Point City Council approved a catalyst project. Then, a year later, the dream of a multi-use stadium was pitched. Now, they are breaking ground on a more than $30 million dollar project in the heart of the furniture city. The stadium will host events year round. From concerts to sports games, with the highlight being a new Atlantic League Baseball Team. The Bridgeport Bluefish out of Connecticut will move to High Point to play under a new name. High Point Baseball is asking for the public's help in choosing that team's name and mascot. The city chose Samet Corporation as the design team. 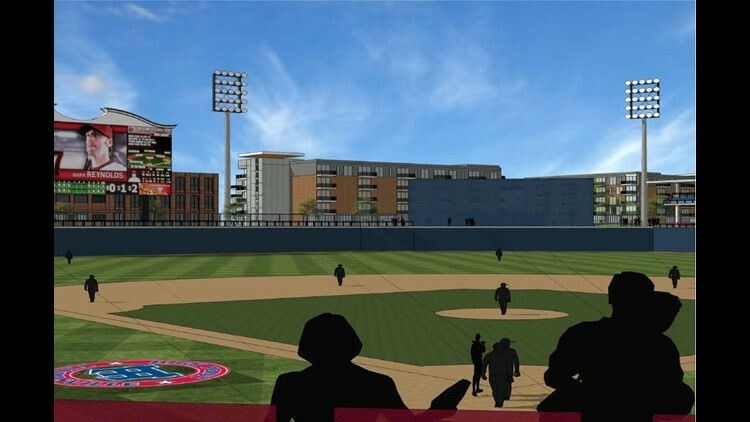 The same company behind BB&T Ballpark in Winston-Salem and First National Bank Field in Greensboro.